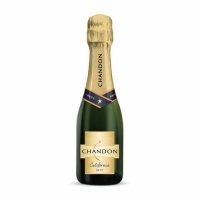 A nice, everyday bubbly that offers elegance at an affordable price. Chardonnay contributes crisp flavors of limes, while Pinot Noir brings deeper flavors of cherries. A lovely wine that grows in the glass.